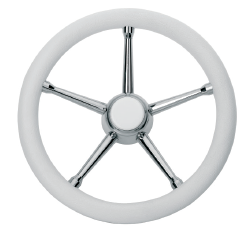 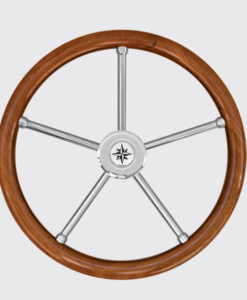 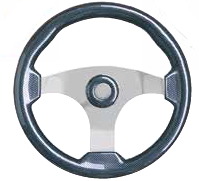 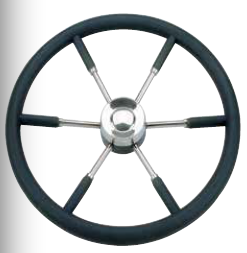 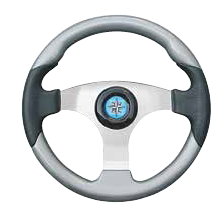 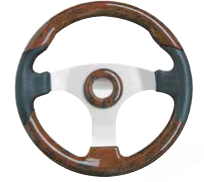 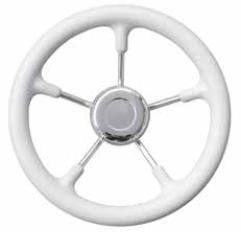 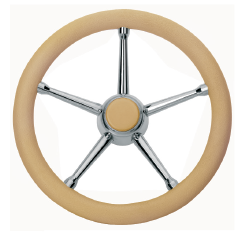 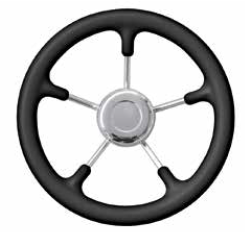 Steering wheel with five spokes,hand grip and hub in brilliant stainless steel. 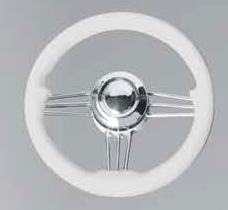 The section of the circle is diameter 25 millimeters while the spokes are diameter 14 millimeters. 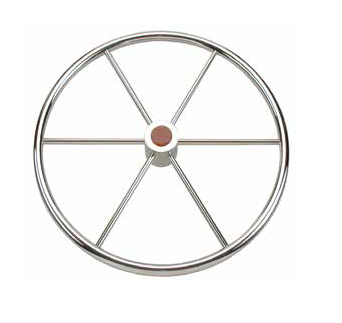 For small dimensions of the wheels they are with five spokes, for medium and big dimensions of the wheels they are with six spokes.